Ocean Dunes is a great place to vacation in the summer and in the off season. 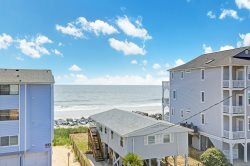 The community of Ocean Dunes in Kure Beach has 2 outdoor pools, a heater indoor pool (open year round), a sauna, exercise room, basket court, play ground and more! Indoor heated pool, 2 outdoor pools, sauna, exercise room, basketball court, tennis court, play ground, beach access.